Charles Lafayette MEACHAM [Parents] was born on 20 Sep 1829 in Hopkinton, St. Lawrence, New York. He died on 24 Mar 1914 in San Bernardino, San Bernardino, California. He was buried in Pioneer Cemetery, San Bernadino, San Bernadino, California. Charles married Letitia Ann YEAGER on 20 Mar 1852 in Hopkinton, St. Lawrence, New York. Letitia Ann YEAGER was born in 1831 in Hopkinton, St. Lawrence, New York. She died on 18 Jan 1902. Letitia married Charles Lafayette MEACHAM on 20 Mar 1852 in Hopkinton, St. Lawrence, New York. George Washington MEACHAM [Parents] was born on 6 May 1832 in Hopkinton, St. Lawrence, New York. He died in 1880. George married Phoebe. Phoebe. Phoebe married George Washington MEACHAM. Erastus Darwin MEACHAM "Sr" [Parents] was born on 20 Jul 1826 in Hopkinton, St. Lawrence, New York. He died on 7 Jun 1899 in Park Valley, Box Elder, Utah. He was buried on 11 Jun 1899 in City Cemetery, Park Valley, Box Elder, Utah. Erastus married Sarah BOND. Sarah BOND was born on 1 Sep 1838 in Crumpsall, Manchester, Lancashire, England. She was christened on 28 Oct 1832 in Cathedral, Manchester, Lancashie, England. She died on 20 Apr 1874 in Salt Lake City, Salt Lake, Utah. She was buried on 23 Apr 1874 in Salt Lake City, Salt Lake, Utah. Sarah married Erastus Darwin MEACHAM "Sr". Erastus Darwin MEACHAM "Sr" [Parents] was born on 20 Jul 1826 in Hopkinton, St. Lawrence, New York. He died on 7 Jun 1899 in Park Valley, Box Elder, Utah. He was buried on 11 Jun 1899 in City Cemetery, Park Valley, Box Elder, Utah. Erastus married Lola Amanda CLAWSON. Lola Amanda CLAWSON was born on 12 Mar 1832 in Greenwood, Steuben, New York. She died in 1848. She was buried in Kanesville, , Iowa. Lola married Erastus Darwin MEACHAM "Sr". Benjamin F. PENDLETON. Benjamin married Lola Amanda CLAWSON. Lola Amanda CLAWSON was born on 12 Mar 1832 in Greenwood, Steuben, New York. She died in 1848. She was buried in Kanesville, , Iowa. Lola married Benjamin F. PENDLETON. William Henry MEACHAM [Parents] was born on 31 Dec 1851 in Little Cottonwood, Salt Lake, Utah. He died on 6 Feb 1923 in Logan, Cache, Utah. He was buried on 8 Feb 1923 in Logan Cemetery, Logan, Cache, Utah. William married Martha Almira ROSE on 3 Apr 1874 in Salt Lake City, Salt Lake, Utah. Martha Almira ROSE was born on 15 Aug 1856 in Little Cottonwood, Salt Lake, Utah. She died on 26 Jul 1838 in Logan, Cache, Utah. She was buried on 28 Jul 1938 in Logan Cemetery, Logan, Cache, Utah. Martha married William Henry MEACHAM on 3 Apr 1874 in Salt Lake City, Salt Lake, Utah. Gideon William ALVORD was born on 8 Feb 1841 in Quincy, Lee, Iowa. He died on 4 Dec 1918 in North Ogden, Weber, Utah. He was buried on 8 Dec 1918 in North Ogden, Weber, Utah. Gideon married Sylvia Ameretta MEACHAM on 10 Apr 1871 in , , Utah. Sylvia Ameretta MEACHAM [Parents] was born on 17 Dec 1849 in Kanesville, Pottawattamie, Iowa. She died on 7 Jul 1873. Sylvia married Gideon William ALVORD on 10 Apr 1871 in , , Utah. Theodore Frelinguysen HOUSKEEPER was born on 23 Jun 1845 in Philadelphia, Philadelphia, Pennsylvania. He died on 29 Jan 1915 in Orangeville, Emery, Utah. He was buried on 30 Jan 1915 in Orangeville, Emery, Utah. Theodore married Sylvia Ameretta MEACHAM. Sylvia Ameretta MEACHAM [Parents] was born on 17 Dec 1849 in Kanesville, Pottawattamie, Iowa. She died on 7 Jul 1873. Sylvia married Theodore Frelinguysen HOUSKEEPER. Erastus Darwin MEACHAM "Jr" [Parents] was born on 17 Mar 1854 in Springville, Utah, Utah. He died on 18 Feb 1889 in Smoot, Lincoln, Wyoming. He was buried on 20 Feb 1889 in Afton, Lincoln, Wyoming. Erastus married Mary Ellen GODFREY on 1 Apr 1873 in North Ogden, Weber, Utah. Mary Ellen GODFREY was born on 1 Apr 1858 in North Ogden, Weber, Utah. She died on 17 Jan 1938 in Afton, Lincoln, Wyoming. She was buried on 21 Jan 1938 in Logan, Cache, Utah. Mary married Erastus Darwin MEACHAM "Jr" on 1 Apr 1873 in North Ogden, Weber, Utah. M i Ira Eldon MEACHAM was born on 17 Oct 1888. He died on 24 Dec 1979. George MEACHAM was born on 4 Oct 1875 in North Ogden, Weber, Utah. 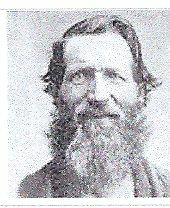 He died on 14 Oct 1875 in North Ogden, Weber, Utah. M iii Darwin Elisha MEACHAM was born on 15 Feb 1877. He died on 12 Aug 1953. M iv Joseph Arthur MEACHAM was born on 9 Feb 1879. He died on 7 Dec 1956. M v Gilbert MEACHAM was born on 12 Jan 1881. He died on 14 Nov 1951. F vi Mary Edith MEACHAM was born on 25 May 1883. She died on 30 Mar 1968. F vii Lizzie MEACHAM was born on 15 Apr 1885. She died on 25 May 1966. Erastus Darwin MEACHAM "Jr" [Parents] was born on 17 Mar 1854 in Springville, Utah, Utah. He died on 18 Feb 1889 in Smoot, Lincoln, Wyoming. He was buried on 20 Feb 1889 in Afton, Lincoln, Wyoming. Erastus married Julia BATES. Julia BATES was born on 8 Feb 1861 in Batesville, Tooele, Utah. She died on 27 Jan 1884 in Tooele, Tooele, Utah. She was buried in Tooele, Tooele, Utah. Julia married Erastus Darwin MEACHAM "Jr".